I am forever on the prowl for hair care products that can tame my wurly, frizzy mop and transform it into smooth, soft, shiny tresses. 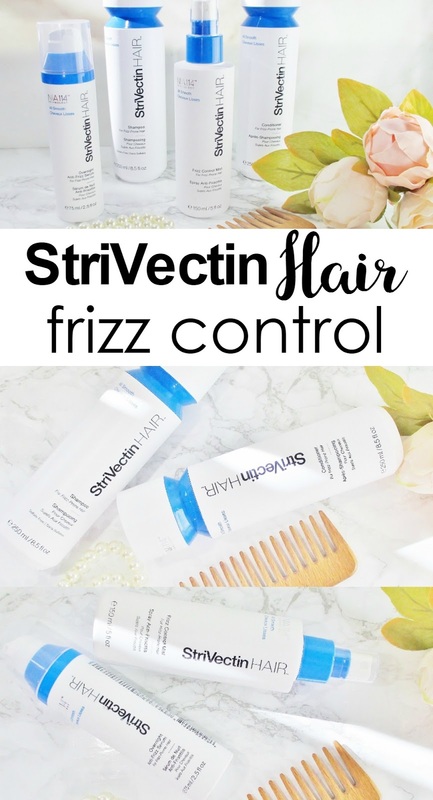 When StriVectin sent over their Frizz Control Line for me to test drive, I was delighted. 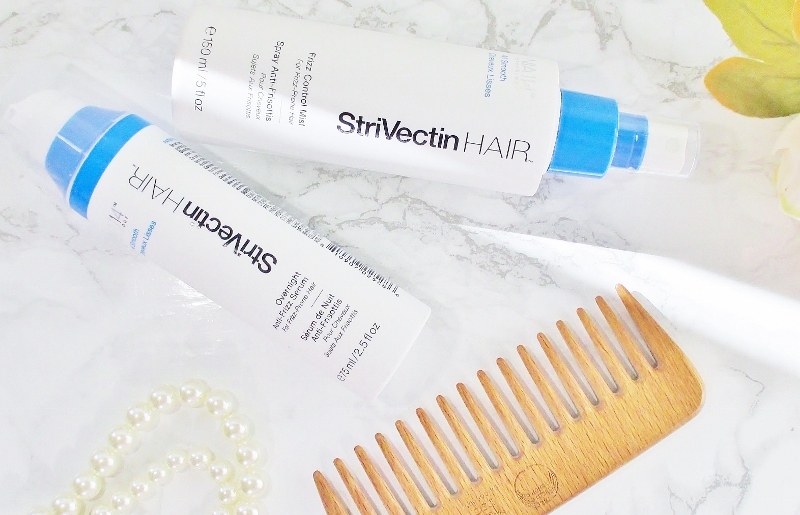 Formulated with specialized ingredients like their NA114 technology and a Hydrosmooth Anti Frizz Complex, StriVectin Hair Frizz Control hair care is created to lock in moisture, replenish strands and reduce porosity to smooth and calm that wild frizz. Sounds like exactly what my crazy hair needed! Did it live up to my hopes and expectations? Read on. Let us begin with StriVectin Hair All Smooth Shampoo. This creamy white, lightly pearlized shampoo has a light, warm vanilla almond scent and works into a generous, cushioning lather to thoroughly cleanse my hair in just one shampooing then rinses away to leave my hair clean and fresh but not feeling stripped or squeaky. Aqua (Water, Eau), Cocamidopropyl Betaine, Sodium Lauroyl Methyl Isethionate, Glycol Distearate, Sodium Methyl Oleoyl Taurate, Fragrance (Parfum), Myristyl Nicotinate, Phenoxyethanol, Lauryl Glucoside, Coco-Glucoside, Sodium Chloride, Sodium Benzoate, Ethylhexylglycerin, Polyquaternium-10, Polyquaternium-70, Phospholipids, Dipropylene Glycol, Glycine Soja (Soybean) Oil, Hydrolyzed Milk Protein, Oat Amino Acids, Benzyl Salicylate, Hexyl Cinnamal, Limonene, Linalool. 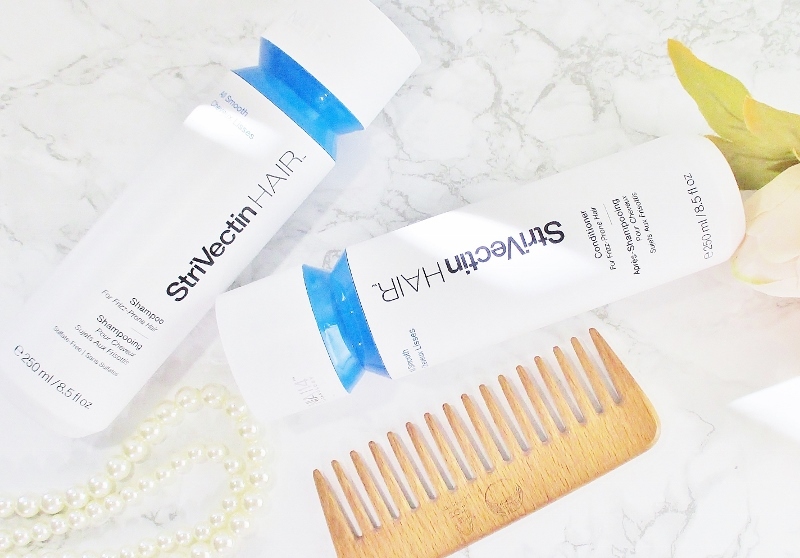 Next up is StriVectin Hair All Smooth Conditioner. This thick, creamy stuff spreads easily through my hair to saturate every inch. I could wish for it to be more slippy, especially for wet comb out but it does leave my hair feeling softer and bumps up shine and smoothness. Aqua (Water, Eau), Cetearyl Alcohol, Ppg-3 Benzyl Ether Ethylhexanoate, Fragrance (Parfum), Behentrimonium Methosulfate, Myristyl Nicotinate, Propanediol, Polyquaternium-70, Phospholipids, Glycine Soja (Soybean) Oil, Hydrolyzed Vegetable Protein Pg-Propyl Silanetriol, Hydrolyzed Milk Protein, Oat Amino Acids, Phenoxyethanol, Dipropylene Glycol, Ethylhexylglycerin, Citric Acid, Sodium Hydroxide, Benzyl Salicylate, Limonene, Linalool, Hexyl Cinnamal. SrriVectin Hair All Smooth Frizz Control Mist. This is where the rubber meets the road. 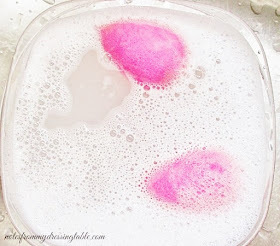 Wash and condition with the matching shampoo and conditioner and then spray this mist into my hair, add a little oil - I always oil my hair - and blow dry with a paddle brush. Why, hello, there, smooth, shiny, swingy hair! My tresses don't end up flat or limp; they still have their natural body and bounce but they are so silky and have that lovely swish! Aqua (Water, Eau), Ppg-3 Benzyl Ether Myristate, Hydroxyethyl Acrylate/Sodium Acryloyldimethyl Taurate Copolymer, Phenoxyethanol, Isohexadecane, Myristyl Nicotinate, C14-22 Alcohols, Hydrolyzed Wheat Protein Pg-Propyl Silanetriol, Cetrimonium Chloride, Sodium Cocoyl Amino Acids, Polysorbate 60, C12-20 Alkyl Glucoside, Ethylhexylglycerin, Potassium Dimethicone Peg-7 Panthenyl Phosphate, Propylene Glycol, Lactic Acid, Tetrasodium Edta. Aqua (Water, Eau), Hydrogenated Ethylhexyl Olivate, Myristyl Alcohol, Fragrance (Parfum), Myristyl Nicotinate, Acetamide Mea, Polyacrylate-13, Peg-8 Stearate, Hydrogenated Castor Oil/Sebacic Acid Copolymer, Ptfe, Hydrolyzed Keratin, Panthenol, Polyquaternium-7, Phenoxyethanol, Caprylyl Glycol, Polyisobutene, Guar Hydroxypropyltrimonium Chloride, Polyacrylamide, C13-14 Paraffin, Bht, Glycerin, Hydrogenated Olive Oil Unsaponifiables, Polysorbate 20, Sericin, Laureth-7, Sorbic Acid, Butyl Methoxydibenzoylmethane, Ethylhexyl Methoxycinnamate, Cetrimonium Chloride, Behentrimonium Chloride, Sorbitol, Sodium Cocoyl Collagen Amino Acids, Cocoyl Sarcosine, Wheat Germ Acid, Ethylhexyl Salicylate, Triticum Vulgare (Wheat) Germ Oil, Simmondsia Chinensis (Jojoba) Seed Oil, Tocopheryl Acetate, Polysorbate 80, Hydrolyzed Glycosaminoglycans, Sodium Hydroxide, Linoleic Acid, Linolenic Acid, Tocopherol, Hydrolyzed Milk Protein, Hydrolyzed Oat Protein, Benzyl Salicylate, Limonene, Linalool, Hexyl Cinnamal, Coumarin, Benzyl Alcohol. 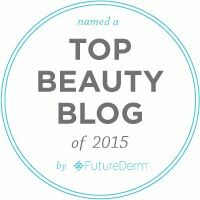 Overall, I like the StriVectin Hair All Smooth Hair Care. It smells nice and with heat styling it makes my hair look and feel so silky and smooth and gives it that coveted swish I love so much. I do wish that the overnight serum didn't have chemical sunscreen in it so that I could have included it in my routine. 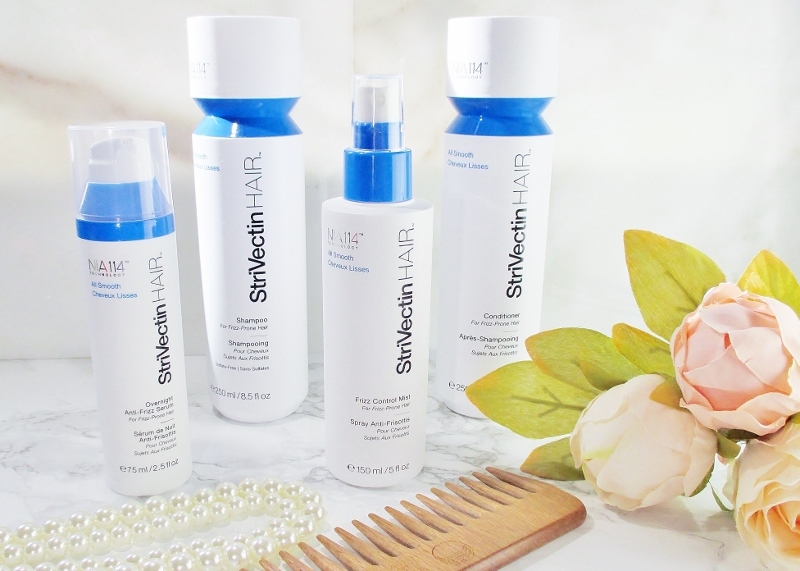 Of the two StriVectin Hair lines I've been lucky enough to test drive, the All Smooth is definitely my favorite.